This is the Fundraising Complaints Procedure of Walking With The Wounded (WWTW), whose registered office is at Stody Hall Barns, Stody, Melton Constable, Norfolk NR24 2ED. Walking With The Wounded values your feedback and takes your comments seriously. The Charity views all fundraising complaints as an opportunity to learn and improve for the future, as well as a chance to put things right for the person or organisation that has made the fundraising complaint. · To ensure fundraising complaints are handled correctly, which is part of our Fundraising Promise to supporters. A fundraising complaint is any expression of dissatisfaction, whether justified or not, about any aspect of WWTW's fundraising activities. Fundraising complaints may come from any person or organisation who has a legitimate interest in fundraising for Walking With The Wounded. A fundraising complaint can be received verbally, by phone, by email or in writing. All fundraising complaint information will be handled sensitively, telling only those who need to know and following any relevant data protection requirements. Fundraising complaints are retained for at least 24 months from the date on which the fundraising complaint is made, except where Data Protection law requires that the information be put beyond use earlier than this (for example, where, within this timeframe, you request that your information be destroyed). Overall responsibility for this procedure and its implementation lies with the Board of Trustees at WWTW. To ensure any complaint that we receive is managed effectively and to ensure consistency of response, all fundraising complaints must be addressed to the Fundraising Administrator to initiate the complaints process. On receiving your fundraising complaint, the Fundraising Administrator will record it in the fundraising complaints log, and allocate a unique reference number. If your complaint has not already been resolved, they will delegate an appropriate person to investigate it and to take appropriate action. In many cases, a fundraising complaint is best resolved, wherever possible, by the person responsible for the issue being complained about. If your fundraising complaint relates to a specific person, they will be informed and given a fair opportunity to respond. Whether or not your fundraising complaint has been resolved, your fundraising complaint information will be passed to the Director of Fundraising within 7 days. You will receive an acknowledgement by the Director of Fundraising within 14 days. The acknowledgement will say who is dealing with your fundraising complaint and when you can expect a reply. A copy of this fundraising complaints procedure will be attached. Ideally you will receive a definitive reply within 28 days of submitting your complaint. If this is not possible because for example, an investigation has not been fully completed, a progress report will be sent to you with an indication of when a full reply will be given. Whether your fundraising complaint is justified or not, our reply to you will describe the action taken to investigate your fundraising complaint, the conclusions from the investigation, and any action taken as a result of your fundraising complaint. If you feel that the problem has not been satisfactorily resolved, you can request that your fundraising complaint is reviewed by the Charity’s Chief Executive Officer. Your request for a review by the Chief Executive Officer will be acknowledged within 7 days of receiving it. The acknowledgement will say who will deal with your fundraising complaint and when you can expect a reply. The Chief Executive Officer may investigate your fundraising complaint themselves or delegate a suitably senior person to do so. This may involve reviewing the paperwork of the fundraising complaint and speaking with the person who dealt with the original fundraising complaint. If your fundraising complaint relates to a specific person, they will be informed and given a further opportunity to respond. The person who dealt with your original fundraising complaint will be kept informed of what is happening. Ideally you should receive a definitive reply within 28 days of requesting a review by the Chief Executive Officer. If this is not possible because for example, an investigation has not been fully completed, a progress report will be sent to you with an indication of when a full reply will be given. Whether your fundraising complaint is upheld or not, the reply will describe the action taken to investigate your fundraising complaint, the conclusions from the investigation, and any action taken as a result of your fundraising complaint. The decision taken at this stage is final, unless the Chief Executive Officer decides it is appropriate to seek external assistance with resolution. The Board of Trustees may vary the procedure for good reason. This may be necessary to avoid a conflict of interest, for example, a complaint about the CEO should not also have the CEO as the person looking into the complaint. Fundraising complaints are reviewed annually to identify any trends which may indicate a need to take further action. · We will adhere to the Fundraising Code of Practice. · We will monitor fundraisers, volunteers and third parties working with us to raise funds, to ensure that they comply with the Code of Fundraising Practice and with this Promise. · We will comply with the law as it applies to charities and fundraising. 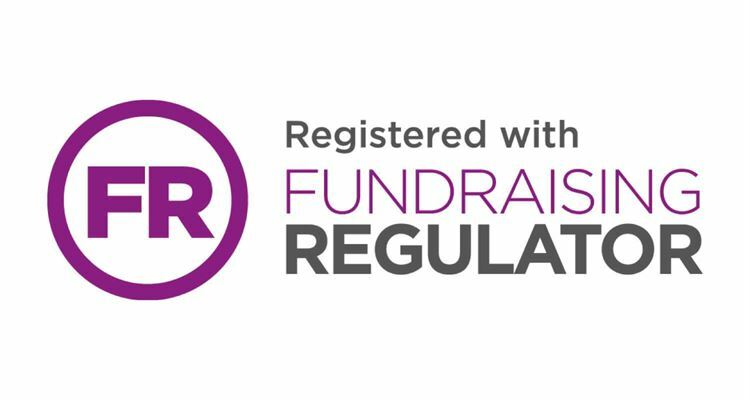 · We will display the Fundraising Regulator badge on our fundraising material to show we are committed to good practice. · We will tell the truth and we will not exaggerate. · We will do what we say we are going to do with donations we receive. · We will be clear about who we are and what we do. · We will give a clear explanation of how you can make a gift and change a regular donation. · Where we ask a third party to fundraise on our behalf, we will make this relationship and the financial arrangement transparent. · We will be able to explain our fundraising costs and show how they are in the best interests of our cause if challenged. · We will ensure our complaints process is clear and easily accessible. · We will provide clear and evidence based reasons for our decisions on complaints. · We will respect your rights and privacy. · We will not put undue pressure on you to make a gift. If you do not want to give or wish to cease giving, we will respect your decision. · We will have a procedure for dealing with people in vulnerable circumstances and it will be available on request. · Where the law requires, we will get your consent before we contact you to fundraise. · If you tell us that you don’t want us to contact you in a particular way we will not do so. We will work with the Telephone, Mail and Fundraising Preference Services to ensure that those who choose not to receive specific types of communication don’t have to. · We will treat donors and the public fairly, showing sensitivity and adapting our approach depending on your needs. · We will take care not to use any images or words that intentionally cause distress or anxiety. · We will take care not to cause nuisance or disruption to the public. · We will manage our resources responsibly and consider the impact of our fundraising on our donors, supporters and the wider public. · If you are unhappy with anything we’ve done whilst fundraising, you can contact us to make a complaint. We will listen to feedback and respond appropriately to compliments and criticism we receive. · We will have a complaints procedure, a copy of which will be available on our website or available on request. · Our complaints procedure will let you know how to contact the Fundraising Regulator in the event that you feel our response is unsatisfactory. · We will monitor and record the number of complaints we receive each year and share this data with the Fundraising Regulator on request.